Established by a couple of young people, Ulbotech is specialized in designing the easy to use, most integrated and intelligent GPS Tracker which with a widely-usage and close-knit our life together. Ulbotech is concentrated to provide the most integrated and cost-effective OEM/ODM service of GPS Tracker. 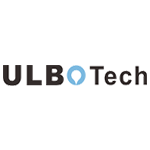 The hardware and software engineers of Ulbotech R&D team with more than 10 years experience in design, prototyping, integrating and testing of products in the GPS tracking industry. The chart below shows the changes within the last 30 days in the number units of Ulbotech devices type are connected to Wialon Data Center.